Today is the day! 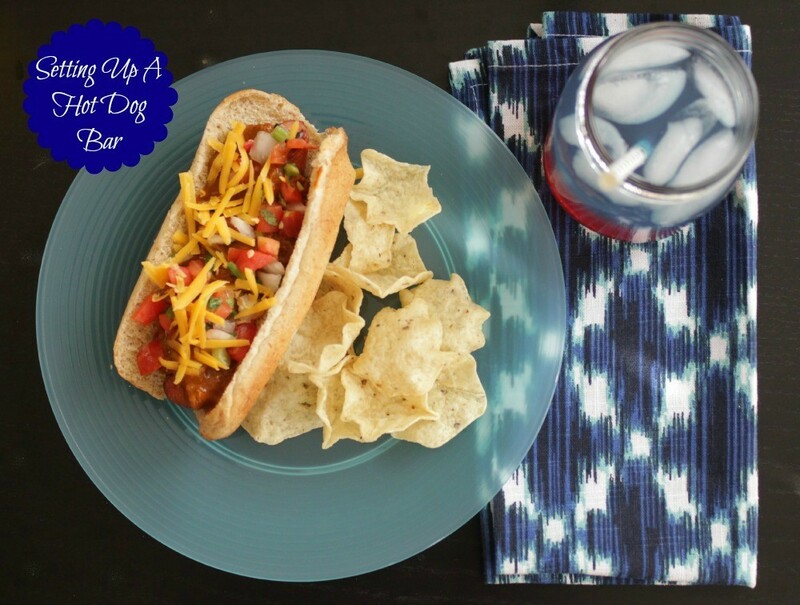 It’s National Hot Dog Day and what better way to celebrate this holiday than by rounding up all things hot dog related right? From how to set up a hot dog bar and super delicious hot dog topping recipes to hot dog apparel and even a restaurant deal. 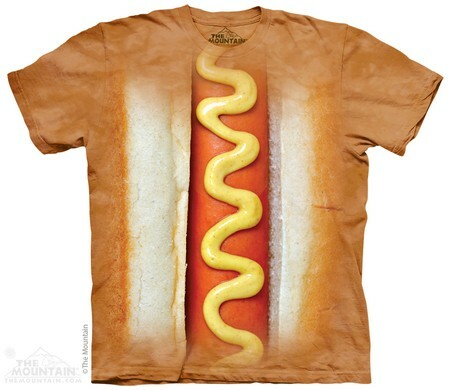 Yep, I’m hot dog crazy today. How to set up a hot dog bar – At the beginning of July, I showed you how simple it is to set up a hot dog bar. Whether you’re just doing it for family or a big group of friends, this is an easy way to entertain. It’s also a fantastic way to celebrate National Hot Dog Day, am I right? Sonic Drive In’s $1 Hot Dogs – Don’t feel like cooking tonight? 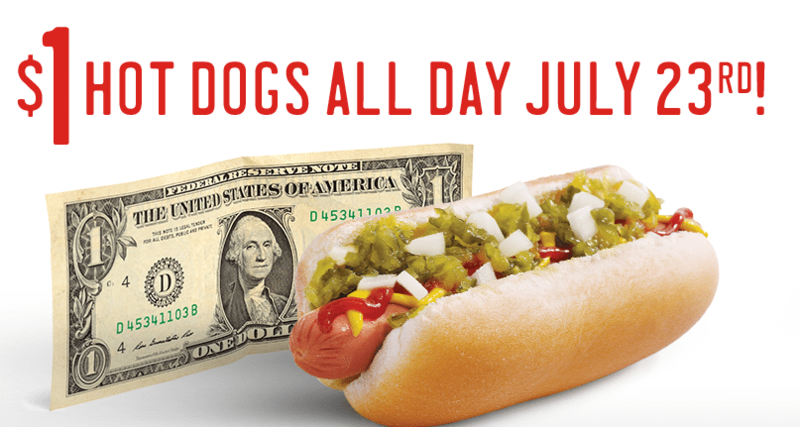 That’s OK. Sonic has you covered with their $1 hot dogs all day today (July 23rd), in honor of National Hot Dog Day. Head on over, eat up and enjoy. 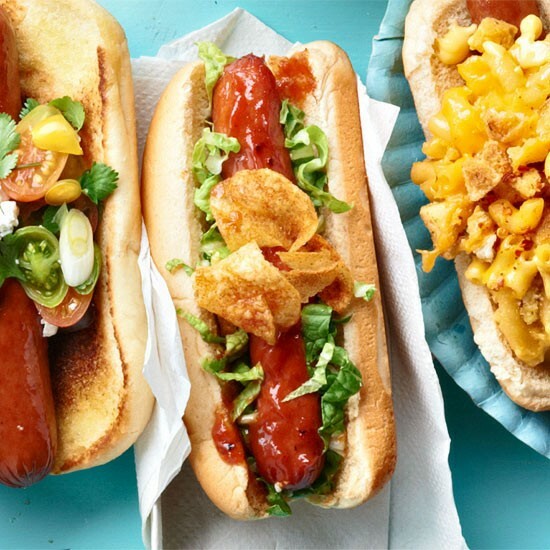 15 Hot Dog Toppings to Try – From the BBQ Potato Chip Crunch Dog to the ever so popular Chicago Style dog, BHG has 15 fantastic works of hot dog perfection for you to try. Are you ready to step beyond the ketchup and mustard? 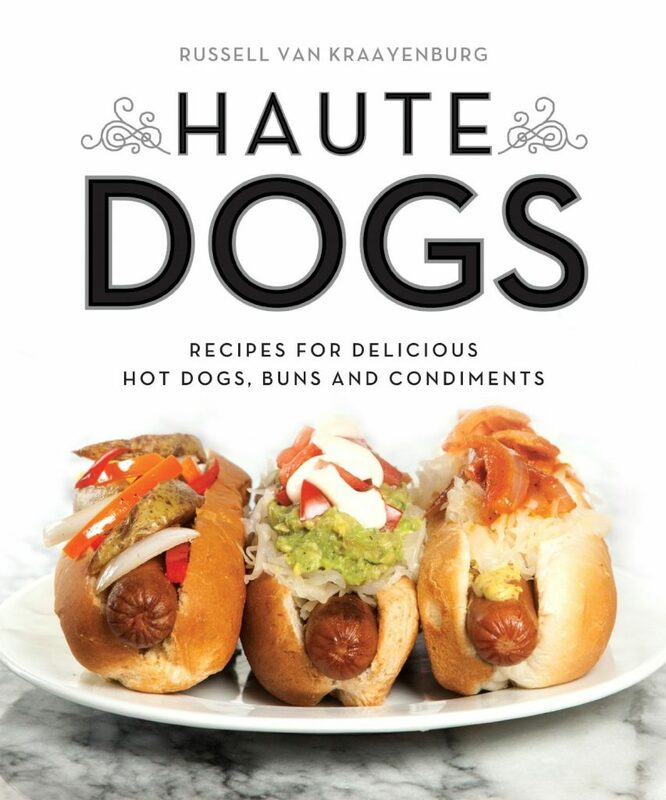 Haute Dogs: Recipes for Delicious Hot Dogs, Buns, and Condiments – Haute Dogs gives the classic cookout staple a fresh and tasty twist, with recipes inspired by everything from south-of-the-border BBQ to Japanese fusion to modern food-cart cuisine. Handcraft your own top-notch dogs, buns, and condiments with step-by-step from-scratch instructions, and brush up on your hot dog history with an in-depth look at tasty traditions from the U.S. and beyond. Just in time for summer, this indispensable guide will make your grilling extraordinary. Retro Series Pop-Up Hot Dog Toaster – Do you need an easy, fun and totally retro looking way to cook your hot dogs? Of course you do! Don’t we all? 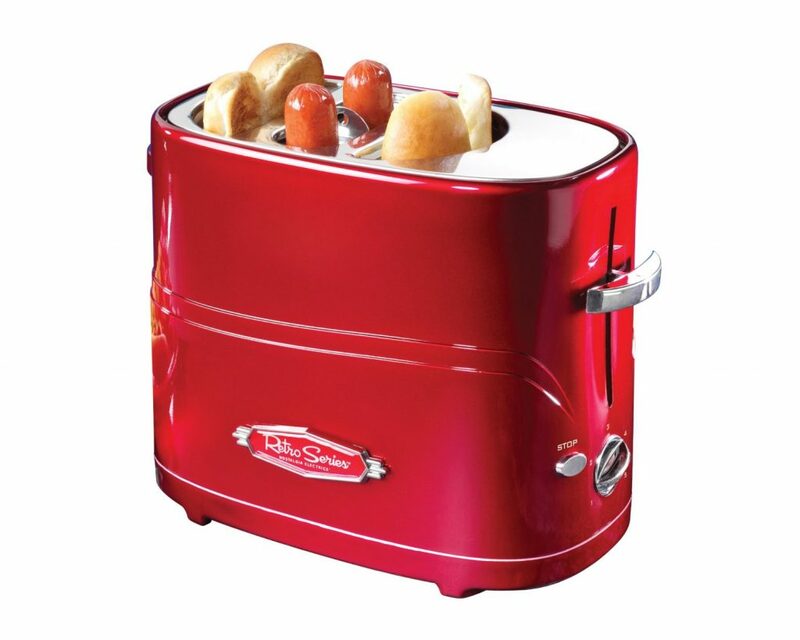 The Nostalgia Electrics Hot Dog Toaster is a fast, fun and convenient way to enjoy hot dogs. This unit holds up to two regular-sized hot dogs and two hot dog buns at one time. A fun way for guests of all ages to enjoy delicious hot dogs, the Nostalgia Electrics Hot Dog Toaster is perfect for entertaining, as well as a quick meal solution. Now cooking hot dogs is as simple as making toast! 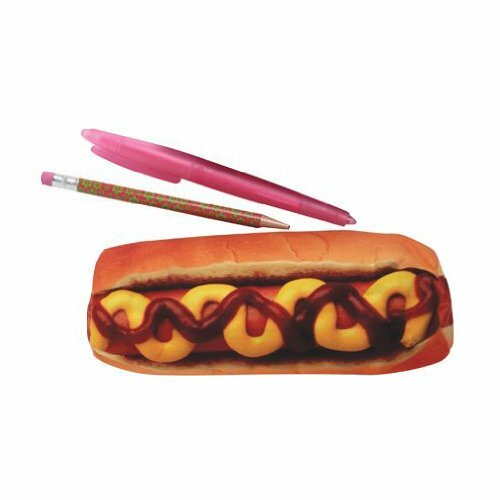 Hot Dog Pencil Pouch – Why go back to school with an ordinary pencil pouch when you can go with one that actually looks like a hot dog? I know. Silly question. 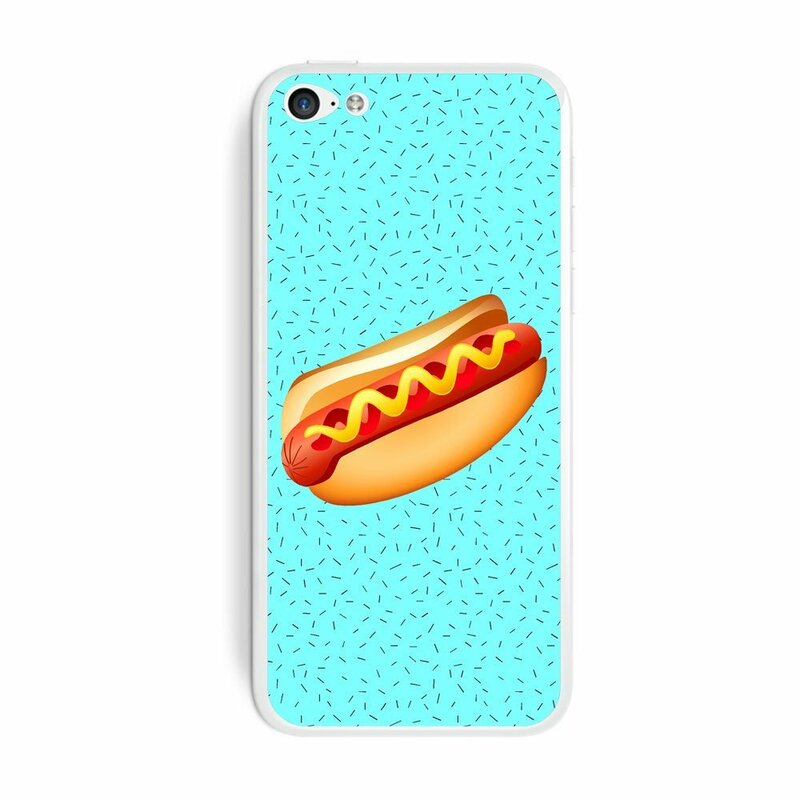 Hot Dog iPhone 5c Skin – Hot dog it’s a hot dog iPhone 5c skin! Add some very distinctive style to your phone. I love the color and the retro feel, don’t you? Meet the Man Behind Hot Dog University – Last, but certainly not least, TIME did a fun article on Mark Reitman, who has been nicknamed the Professor of Hot Dogs and happens to know a thing or two about this meat we put on a bun. He answers questions from how to cook a hot dog, the right way to put on toppings, should one put ketchup on a hot dog (no) and more. It’s a fun read and you’ll be very educated about the hot dog when you’re done reading it. You’re welcome. Are you cooking up Hot Dogs tonight? If so, enjoy and Happy National Hot Dog Day to you! Previous articleThe Disney Frozen Collection Has Arrived at Kohl’s!